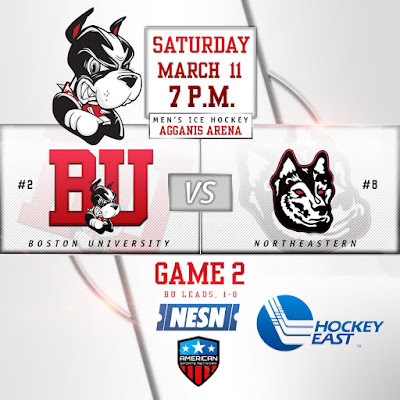 Game 2 of the BU-Northeastern best-of-three quarterfinal series begins tonight at 7 p.m. ET. 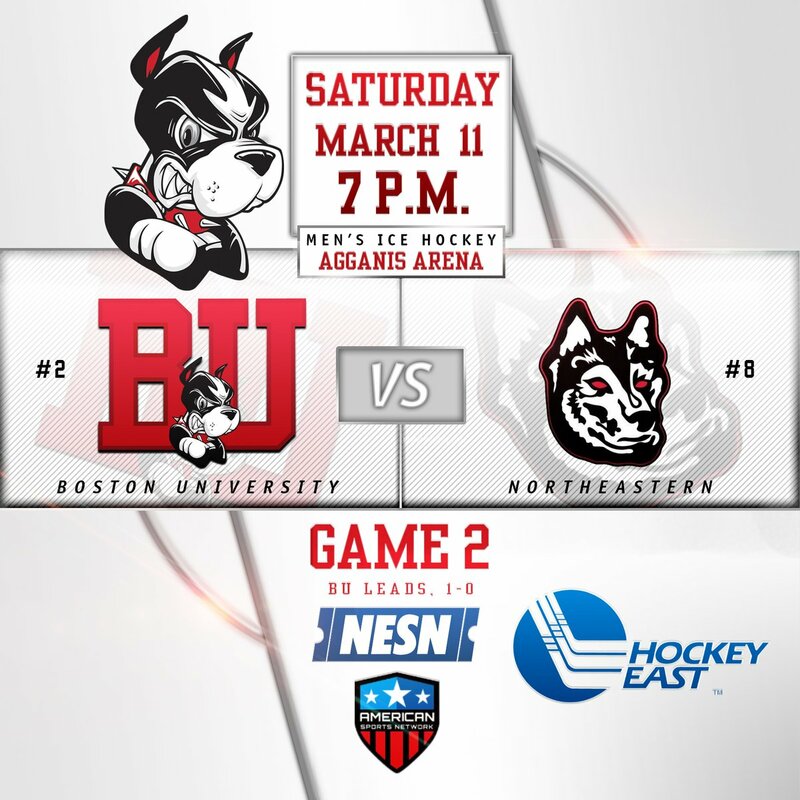 The game will be broadcast on NESN and American Sports Network and live-streamed on ASN Live. ● Following last night’s win and other Division 1 tournament games, BU moved up to #6 in the Pairwire Rankings. College Hockey News offers a Pairwise Probability Matrix that has BU projected to finish at #5. Amateur Hockey Report’s rankings for the upcoming OHL draft has two future Terriers in the top 10: #4 is Buffalo Junior Sabres 16U defenseman Case McCarthy and #10 is Shattuck St. Mary’s center Robert Mastrosimone. Charlie Coyle scored his 15th goal in Minnesota’s 7-4 win against Florida.